Three other family members escaped from the burning building. Several pets also died in the fire. An elderly woman died early Wednesday morning in a fire that destroyed a Northeast Portland dwelling. 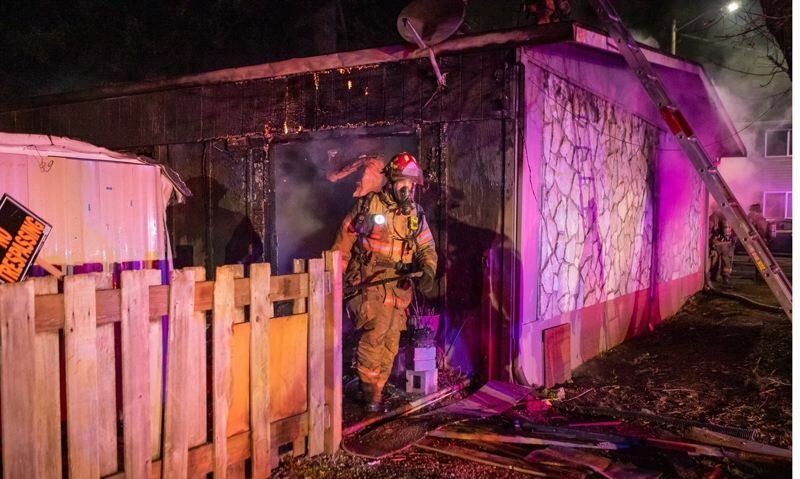 Portland Fire and Rescue reported that a 78-year-old woman was found dead inside the single-story four-plex at Northeast 160th Avenue and Everett Court after a fire broke out at about 3:30 a.m. Jan. 9. Three other family members — two adults and an 8-year-old child — escaped from the burning building. They were treated at a local hospital for smoke inhalation. The woman's body was found inside the burning house. Seven family pets also died in the house. Investigators believe the fire was caused by a faulty electrical cord. There was a smoke alarm in the apartment, but the battery had been removed. "We are very saddened by today's news," said PF&R Fire Marshal Nate Takara. "Our Fire Death Task Force will be looking closely at this tragedy to see how our public education and prevention efforts can be better focused." The Fire Death Task Force is a committee of fire professionals and data analysts who understand details of fire fatalities and/or injuries to better focus prevention, response and public education.